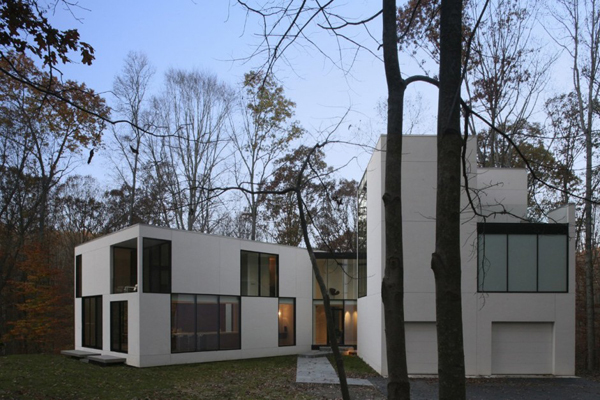 Graticule House is yet another project by David Jameson Architect. 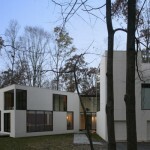 The house has an interesting architecture. 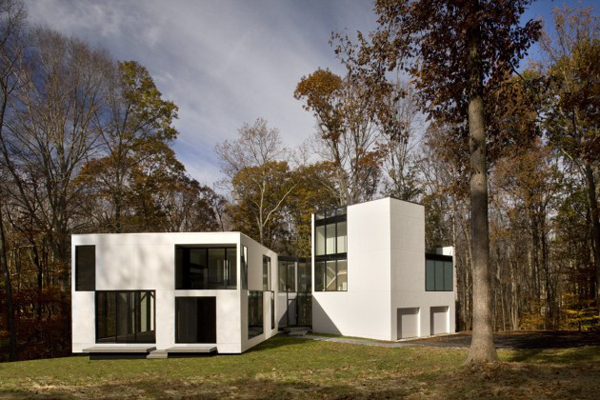 The Graticule House structure makes it interact with both its other parts and nature that surrounds it. 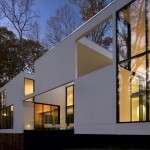 The two geometric parts of the house are connected with each other and stand facing each other with results in interesting shape. Situated on a hillside site, the Graticule House is conceived to be a trace, or reference datum, allowing a reading of the relationship between the building and nature. 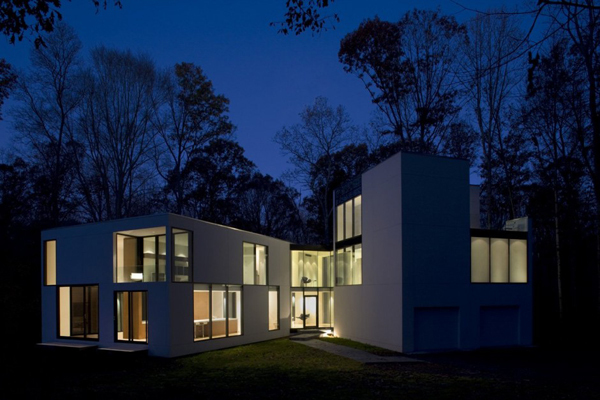 Fundamental to the conception of the house is the notion of cadence, where repetitious vertical and horizontal markers of the building’s tectonics are juxtaposed with the particularity of the forest and ground plane. 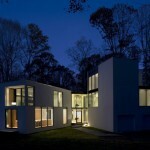 Light and space are modulated by meshing ribbons of glass and wall planes that form a tessellation of solid and void. 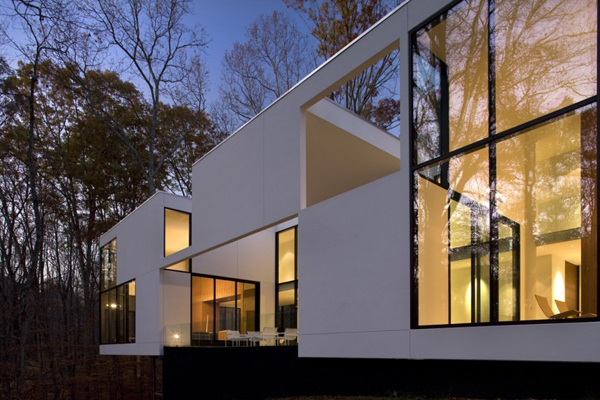 The Graticule House is certainly modern and features big windows in black frames that contrast with white exterior. The windows invite beautiful natural sights into the living room. The interior is minimalist with occasional wooden finishing. The high ceilings make the place look grand and spacious. Taylor Swift's New $3.5 Million Home?